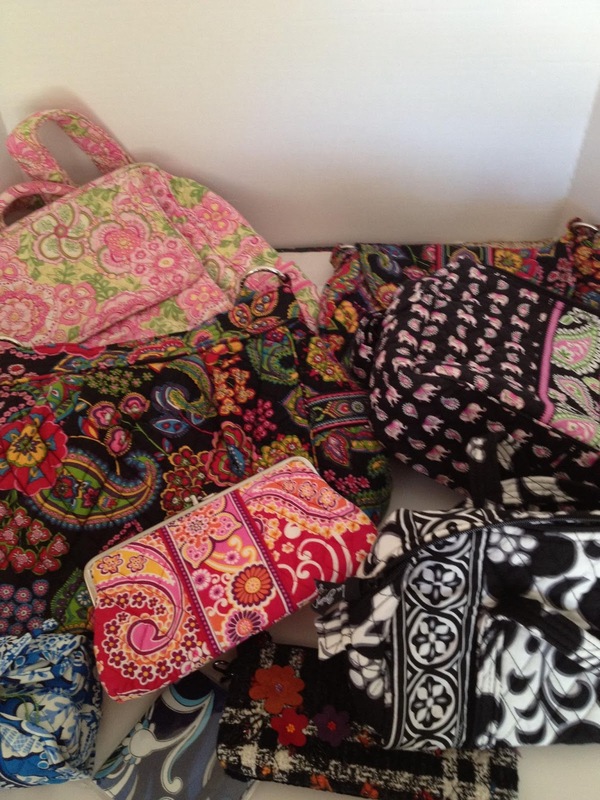 I am at my parents house visiting and had a chance to go through the box of Vera Bradley stuff that I left here when I moved to the east coast. I decided it was time to part with some of it and listed some on Ebay last night. Some are new with tags and all are in excellent condition with the exception of the Petal Pink Large Backpack which is getting a little worn out. 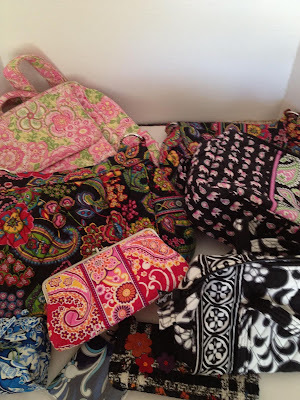 If you are looking to add to your own Vera Bradley collection you can click here to check out what I have for sale. Surprised! I would never part with any of my old vera. The new stuff is not as good of quality. I get more compliments on my older than newer bags.